Make sure that the USB cable is plugged firmly into the USB port on the rear of the Q or QX keyboard. The other end should be firmly plugged into the computer's USB port. On desktop computers, rear USB ports are preferable as front ports may not meet the power demands of some bus powered devices. 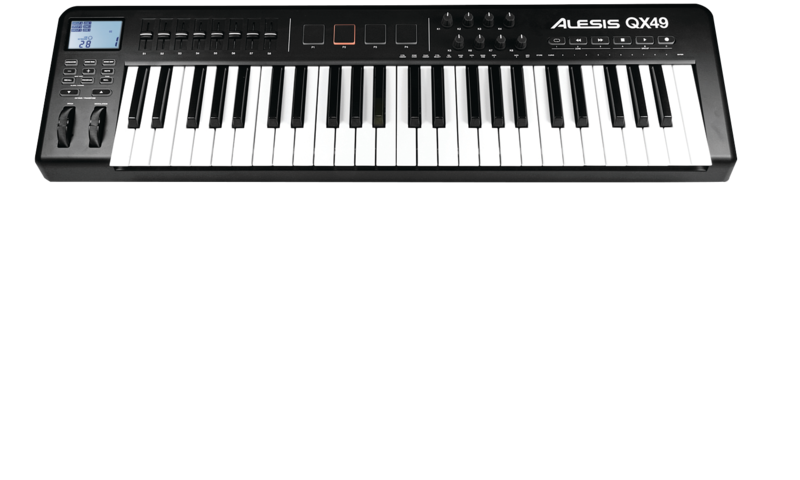 The Alesis Q and QX series USB MIDI keyboard controllers are class-compliant. This means that they do not require any separate software drivers to be installed, but use generic MIDI device drivers built into the operating system. 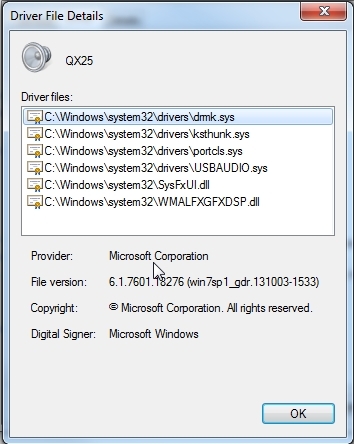 When connecting your Q or QX series keyboard via USB, both Windows and Mac computers automatically recognize it, install the generic MIDI device drivers, and make it available to use. This is the very definition of "plug and play." Click the Start (Windows) Button. Begin typing Device Manager. The top result should be Device Manager as a Control Panel item. Click Device Manager to open. Hold down the Windows key and press X on your computer keyboard. 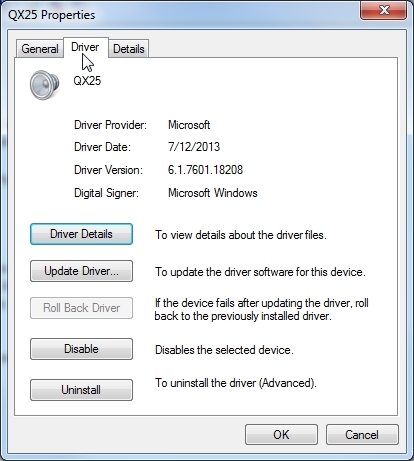 Once the device manager is open, double-click Sound, Video, and Game Controllers category title. This expands the category. You should see your keyboard model listed there. If so, proceed to the next step. If not, try unplugging the cable and replugging into a different USB port. You can also try a different USB cable. Right-click your device and click Properties. Click the Driver Details button. Click on each driver in the list one at a time and verify that all providers listed are Microsoft. If they are not, carefully write down the name and location of each driver that is not listed as being provided by Microsoft. This sometimes happens with aftermarket webcams, wireless mouse, and wireless keyboard devices. Right click on your device and choose Uninstall. Click OK on the confirmation screen. Once completed, confirm that your device is no longer present in the Sound, Video, and Game Controllers category. If you have driver providers that aren't Microsoft, browse to those locations. Typically these files are located in C:\WINDOWS\system32\drivers\ If all of your drivers are provided by Microsoft, skip to Step 6. Locate the file whose name exactly matches the one you wrote down earlier. Note: Your search will be easier if you select Details from the View menu at the top of the window. 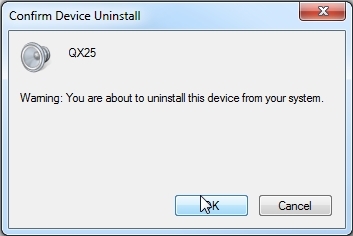 Once the computer has completely rebooted to your desktop, reconnect your Q or QX keyboard device via USB. You should see a driver installation confirmation. 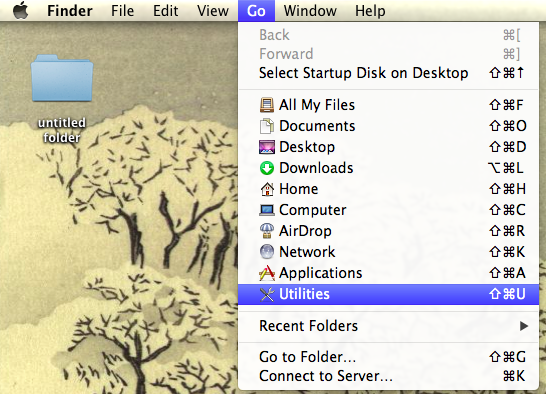 From the Finder (When Finder is displayed in the upper left), click Go, then Utilities. From the Utilities, click Audio MIDI Setup. From the Audio MIDI Setup in the upper left, click Window, then Show MIDI Window. Verify that your device is listed in the window. It may be faded or a brighter shade of blue. You may need to scroll to the right to see more devices. 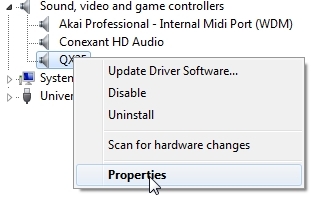 Disconnect the keyboard and all MIDI devices, and click on a device listed to highlight it blue, then click Remove Device. 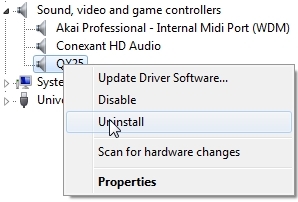 Repeat this process to remove all MIDI devices from this window except IAC Driver and Network. Now Reconnect your Q or QX series controller. After a few moments, it should be listed now in the brighter shade of blue in the MIDI Studio Window. Whether you are a customer or dealer, if you already own a Aleis product, or if you just have pre-sales questions, the Alesis technical support team is available to help!